Although other stores or online retailers are no longer honoring their Christmas in July Sales, ours will stay active until August 18th. YourNovel.com’s personalized romance/adventure novels make great gifts anytime of year for anniversaries, weddings, birthdays, Valentine’s as well as for the winter holiday season. 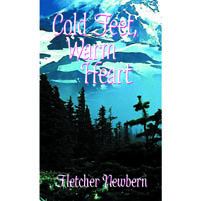 We have three books written with a wintry theme: The Magic Snow Globes by Susie Taylor, Season’s Greetings, Season’s Love by Marcy Thomas, and Cold Feet; Warm Heart by Fletcher Newbern. In our expanded seasonal promotion, if you purchase any of our printed personalized books, we’ll make you a free copy of your choice of any of the three wintry titles using the info you’ve provided for the book you chose to purchase . Both books will be made and mailed together. The first book can be used now, and the holiday season book can be used as a gift this coming December or anytime you wish. Saying I love you is perfect all year long.  1. Purchase any paperback or hardback with or without photo or full custom cover.  2. We will produce a free copy of your choice of our winter books in whatever type book you purchased (with/without photo/custom cover) using the same info you provided.  3. To chose which one you want us to print, on the “Comments” page of your order, enter Snow Globes, Season’s Greetings, or Cold Feet. 4. We’ll make that book for FREE and mail it to you with the book you purchased. You can also use the promo code HoHoJuly18 which will deduct 18% from your purchase and can be used as many times as you’d like. The promotion code HoHoJuly18 will expire August 18, 2018, and can be used as many times as you’d like. Share the info with friends, family and on social media. Ho Ho Ho Happy Summer. This entry was posted in Christmas Books, Discount, News, personalized romance novel and tagged coupon, deals, discount, discounts, free, gift ideas, Personalized, YourNovel.com. Bookmark the permalink.